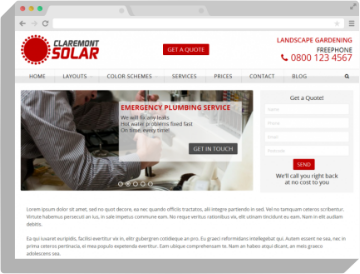 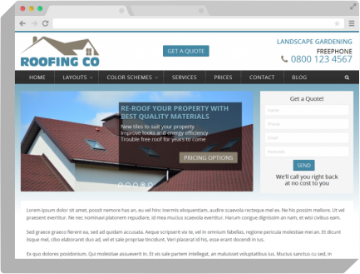 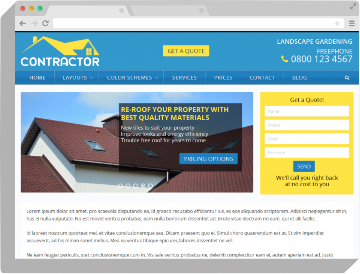 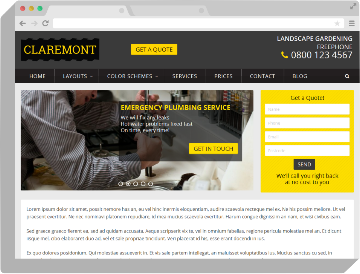 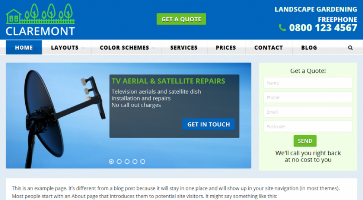 The Claremont WordPress theme is designed especially for contractors and tradesmen. 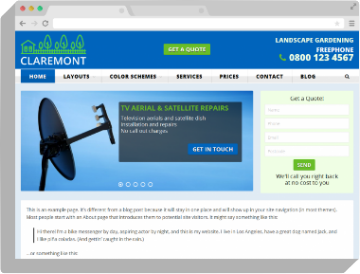 It is free of unwanted bloat, is un-cluttered and fast loading and comes with multiple widgets which can be used to display very effective call-to-action areas such as contact telephone number and customer submit details or request a quote form. 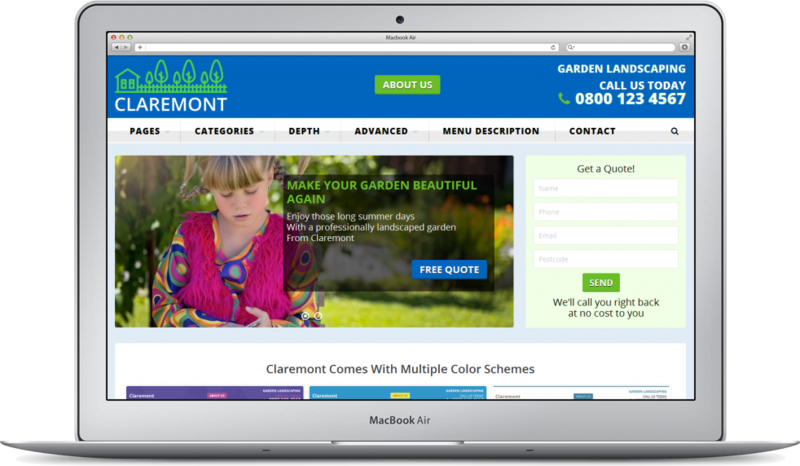 Claremont also comes pre-loaded with a variety of color schemes. 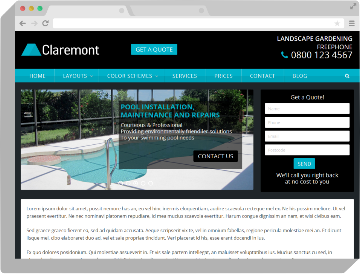 It is fully responsive too, so when you style your WordPress site with the Claremont theme, you can be sure that it will look great on all devices. 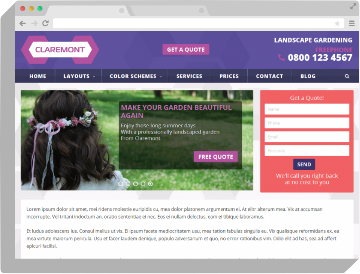 The theme contains carefully thought out call-to-action sections to get your new customers contacting you to enquire about your services. 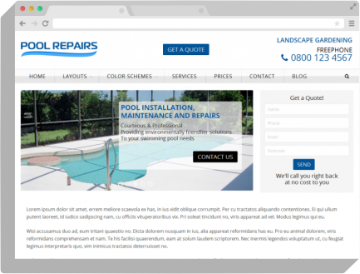 Ideal for many different types of contractor from roofers to pool repair companies. 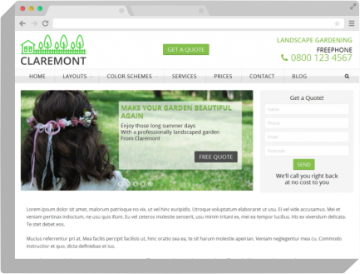 Switch between a variety of color schemes with one click.